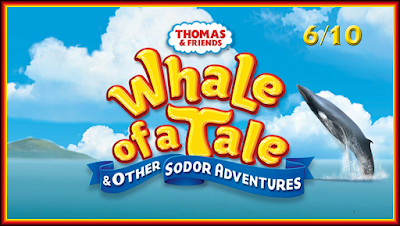 May 23rd saw the release of Whale of a Tale! I'll be honest, with The Great Race showing in cinemas and the fact that I went on a weekend break to London on the 20th to the 23rd, I completely forgot this had been released. But here's my review of it! Series 19 returns in this release with 6 episodes. 40% of the bonus features on this DVD are recycled from The Thomas Way. I'm not even kidding. Yep, Perkins' Postcards this time around focused on the Blue Mountain Quarry... again. Now I'm all for Mr Perkins segments, but if HiT don't have any new ones to put on a DVD, they shouldn't put any on! It just feel pointless to do so, especially considering most parents usually get every release for their kids until they end up growing out of the show. All that said, not all of the bonus features are repeats. Really Useful Engines features Edward and Emily this time around. The characters were described really well and it was nice to have the mention of Edward having the Welolsworth-Brendam branch... even though he's hardly seen there and Edward's branch is pretty much irrelevant these days as everyone goes to Brendam docks. Still, a nice little mention. The Earl's Quiz was fine. It featured Pingy Pongy Pick Up and Double Trouble. It follows the same formula as usual and... like I said, it's fine. Itt's not for me, but it's a nice segment for kids. That's all I really have. Who's That Engine? featured Toby this time. I've always rather liked these segments even though they're basically those really badly segments from series 8-10 where they slowly revealed the engine. Here though, they're far less condescending and far better in the animation department. The only gripes I have here is that they don't mention his cowcatchers and sideplates by name (which is kind of inexcusable when a) Andrew Brenner really likes Toby and b) they have a railway consultant) and Henrietta is nowhere to be seen. It could've been so as not to completely give it away in the same way Thomas didn't pull Annie and Clarabel in his segment, but it's still a tad disappointing. The episode after the reveal was Signals Crossed, which I like. Not only was the description for it better than the episode itself, but it's still one of his better episodes since HiT took over. There's also an actual trailer for The Great Race, which will be released on DVD here on September 5th. Or, if you're from the UK, it's in cinemas now. And... it's OK. I'll post a full length review when the DVD is released and I've written my initial thoughts here, but all I'll say here is that the story is a tale of two halves; one being superb and the other bad, most of the newbies have no character to speak of, Ashima's the best female character of the lot, Vinnie's in line for top spot of the worst characters ever and the songs are great. Like Start Your Engines!, this DVD features some of Arc's best animation up to that point (The Great Race has since improved on it even further). The glossy models are stunning and the camera angles show off their amazing work so well. However, the pacing on the DVD feels very wonky as, like last time, every episode includes the intro and end credits. It would be nice if, in future, the intro and end credits appeared on the start and end respectively in future as it would improve the flow of the programming. The RRP for this DVD is £9.99. Most retailers sell it at £5.99. If you wish to get these episodes in HD, iTunes is offering them all (not the bonus features) for £7.99. This release annoys me. Yes, the episodes are good for the most part, but there's literally zero incentive to get it as they're all online somewhere. Some may have kept recordings of them as they aired. The year long gap really hurts these releases in the long run and while, yes, they will sell copies, they probably won't sell as many as they probably should because of the year long wait! 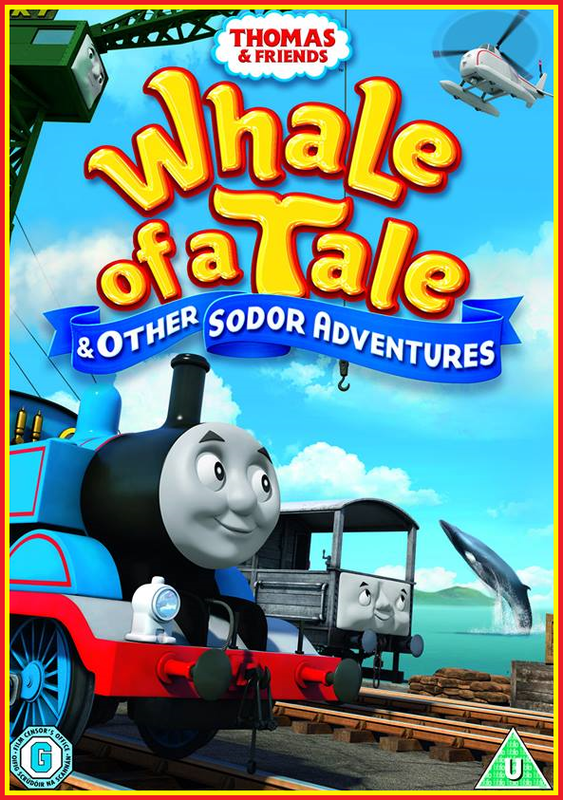 Also, why is it called Whale of a Tale & Other Sodor Adventures? No such episode exists on the DVD. 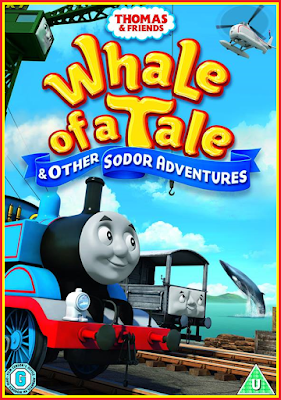 Why didn't they just call it Toad & the Whale & Other Sodor Adventures? Or just cut the ...and Other Sodor Adventures bit and call it Whale of a Tale?